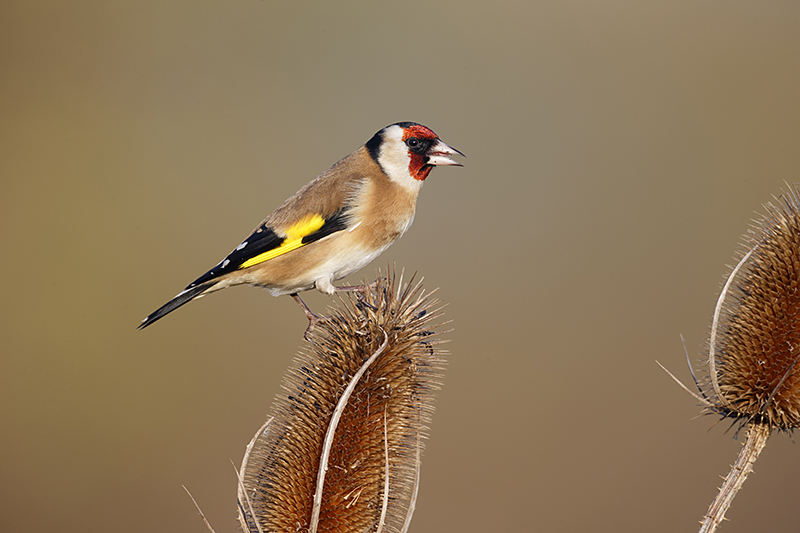 Last winter I could not get Goldfinches at my feeding station to land on Teasel. This year I can’t stop them. They do seem to dislike landing on it and are a little careful as they land sometimes. I assume because it hurts there feet if they get it wrong. Canon 1dx. 800mm. 800 iso. 1/320th at f10/. I do have to remember to close the lens down a bit with the full frame 1dx as the depth of field is noticeably limited. The background is out of focus Silver birch trees, which has a lovely hue to it in winter. Posted on January 19, 2013, in Uncategorized. Bookmark the permalink. Leave a comment.